Although the new documentary series Cosmos is a science show, it can also be seen as a creation myth. It tells how the universe was created and how people came about. This puts it in direct competition with all other creation myths, such as The Book of Genesis. Cosmos represents the creation myth of 2014. Trying to find a date for when the Book of Genesis was written is very hard. We don’t know when or who wrote it, but there is great speculation, both by scholars and the faithful. Unfortunately the faithful have come up with endless theories to when The Book of Genesis was written and by who. Some of them are very creative, but they are all self-serving, in that they are meant to validate a particular view of religion. Let’s just say The Book of Genesis was orally created thousands of years ago, before written language, before history, before science, before philosophy, before most every kind of systematic form of learning that we know today. My point here, is we’re constantly creating stories to explain reality and our origins. Three thousand years from now, the science of Cosmos will seem quaint – maybe as quaint as The Book of Genesis seems to most educated people today. And maybe there will be a small segment of the population that clings to the ideas of Cosmos 2014 because it rationalizes some idea we treasure now but is rejected in the future. Young Earth Creationism is the idea that reality has only existed for about 6,000 years and any suggestion that anything is older is a challenge to their theory. Basically, these believers do everything possible to rationalize that The Book of Genesis is literally true, even though its full of internal inconsistencies. They believe Moses wrote the first five books of The Bible around 1445 BC, even though Moses is a character that comes generations later. They’ve even come up with an idea of how Moses could have done this, The Tablet Theory. Cosmos is based on science, and science claims to be based on directly studying reality. Because science is logical to most people, people with opposing creation myths like the young Earth creationists, now attempted to be scientific. Sadly, their pseudo science is pathetic. Both sides will reject the myth label, and insist their story is the actual explanation of how reality works. That puts them into direct competition for the hearts and minds of citizens of the Earth. Trying to understand how many Americans believe young Earth creationism is hard, but here is one study, “How many Americans actually believe the earth is only 6,000 years old?” Tony Ortega estimates this is around 31 million. The new Cosmos will be seen in 170 countries in 45 languages, but how many people will accept it as the best possible current creation story is hard to calculate. Neil deGrasse Tyson is the new Moses of science, and he claims the universe is 13.8 billion years old, and instead of structuring his story around 6 days, uses an analogy of the 365 day calendar to picture how 13.8 billion years would unfold. The image is our modern world since the Renaissance would fit into the very last second of that imaginary year is just bind blowing! One year has 31,536,000 seconds, so this creation myth is quite complex. The Book of Genesis, a single chapter in one book, and is merely a few thousand words. To understand those 13.8 billion years Cosmos covers you’ll need to read hundreds of books just to get the basic ideas how how things works, and thousands of books to get a fairly accurate picture. I wouldn’t be surprised if there weren’t at least one scholarly book for each of those 31,536,000 representational seconds. Maybe the faithful prefer The Bible for their explanation of reality because it’s requires reading only one book. For most people, watching the whole series of Cosmos will only be educational in the vaguest sense. Fundamentally, it will just be another creation story to accept or reject unless they study more science books to dig into the details. I’ve often wondered just how many science books an average person had to read before they could claim they have a decent sense of scientific understanding. To get some idea of the variety of science books available, read Gary’s Book Reviews at Audible.com. Fans of the new Cosmos after finishing the series could read ten of the best popular science books on cosmology and still not understand much. It’s a shame that K-12 schooling isn’t structured so children end up recreating the classic experiments of science. Educating a scientific mind might be beyond reading books – it might require a series of AH HAH! moments of doing actual experiments. Cosmos is a magnificent television show, but it’s only a beginning. I’m sure the producers only expect it to inspire rather than teach. It is Glenda telling Dorothy that the Yellow Brick Road exists, and viewers need to follow it to discover the real meaning of science. Encyclopedia Britannica has Great Books of the Western World – 60 volumes of the most influential writing in history. This set was inspired by the 1909 idea of Harvard University and their Harvard Classics. Which is also imagined in Harold Bloom’s Western Canon. What we need now is The Great Books of Science series. It doesn’t have to be an actual publication, but a constantly updated list of the best 100 books to read to understand science. Science books get dated quickly, so the list needs to be constantly monitored and revised. The editorial board needs to be scientists, or at least popular science writers of great experience. Here are some attempts of coming up with such a list of science books. As you can see, I didn’t find that many lists, so it’s a great project waiting to happen. There’s many more lists of great science fiction books than science books, which is sad. I love science fiction, but shouldn’t real science be more popular? No, I don’t think science is ever likely to be more popular than speculative fiction, because the practice of science is rigorous, and reading is fun and much easier. Fewer people view hard work as “fun”. I really liked your use of links to outside articles, and your thoughts about the Cosmos series and the “Young Earthers”. Great resources/links. Thanks for sharing Jim! 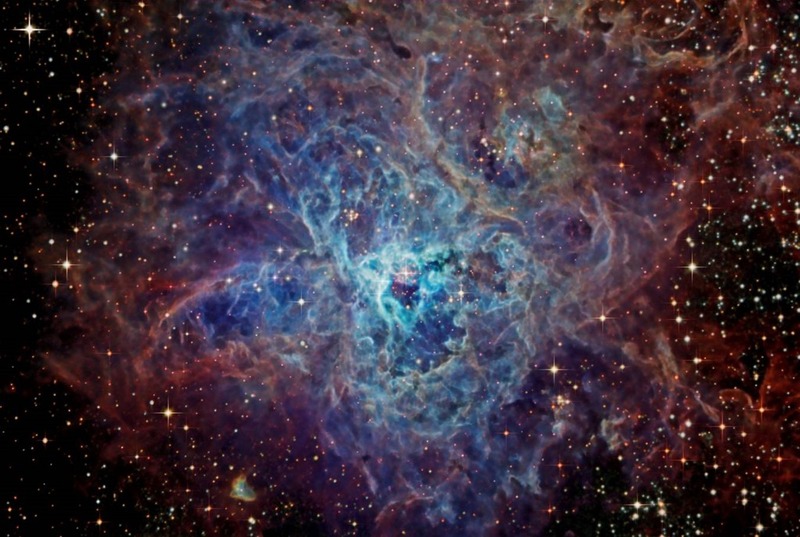 Previous Previous post: Does the Multiverse Vindicate Fred Hoyle’s Steady State Universe? Next Next post: Pono? Just What Did They Hear in Neal Young’s Car?